A man who works for Internet Archive posted a tweet of a secret recording device found at his colleague’s Airbnb rental. The tweet went viral. Photos posted to Twitter on Nov. 27 of the covert camera, designed to look like a motion detector, have received over 33,000 likes and over 23,000 retweets. The post even caught the attention of AirBnB that requested contact information for the man’s colleague. Hi Jason, we'd like to follow up on this. Can you DM us the email address associated with your colleague's account? Thank you. Judging from the photos, the biggest clue that this is a camera and not a motion detector is probably the writing on the back that reads “720P COLOR IP CAMERA,” visible on a label once it was removed from its wall socket. It isn’t the first incident of Airbnb guests finding hidden cameras recording them. According to WFLA, a couple staying at a Florida Airbnb rental found a hidden camera disguised as a smoke detector located above the bed he and his wife slept in. The man opened the smoke detector and found a video camera and microphone inside. The couple noticed a similar smoke detector in the living room. The owner of the property has since been arrested. Local police believe there are more people who were unknowingly recorded while staying at the man’s property. 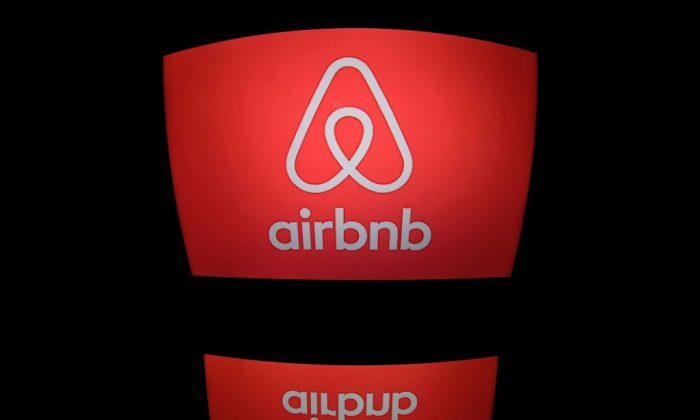 But some guests said Airbnb was not as responsive to their reports of covert recording. A woman who stayed at an AirBnB rental in Houston told Buzzfeed her account of AirBnB chiding her to “respond professionally” after she pointed out that the host admitted to using a hidden camera. She said she didn’t think much of the situation until the host accused her of trashing the place. Nightmare @Airbnb experience this weekend: place was super trashy, found a hidden camera in bedroom (!) Cont..
Erin, the woman who described the ordeal, said AirBnB representatives treated her as if she was trying to find an excuse not to pay for her stay. Only after she complained about the incident openly via Twitter did AirBnB conduct a proper investigation, according to her Buzzfeed interview. She was eventually offered a full refund. According to an Observer article, Airbnb didn’t have an official policy on recording guests until the Observer pointed it out to the company in 2014. “Our standards and expectations require that all members of the Airbnb community respect each other’s privacy. More specifically, we require hosts to disclose all surveillance devices in their listings, and we prohibit any surveillance devices in certain private spaces (such as bedrooms and bathrooms) regardless of whether they’ve been disclosed. It goes on to discuss the consequences. Airbnb also described what it considered surveillance recording devices.